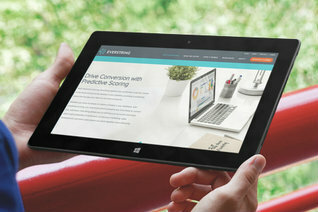 EverString, a predictive marketing SaaS provider, has integrated its AI-powered platform with Microsoft Dynamics CRM Online. The integration positions sales and marketing teams to prioritize existing prospects and identify net-new leads through predictive marketing. The technology is designed to leverage applied data science, machine learning and AI to search and analyze patterns in the pipeline of all users within Microsoft Dynamics CRM Online. It aims to provide marketers with the ability to analyze their market of prospects and target their optimal audience based on data from Microsoft Dynamics CRM Online and 20,000 external signals. "We are thrilled to join the Microsoft Dynamics ecosystem and extend the benefits of our platform to its roster of world-class users to help them increase conversions and boost revenue," said Vincent Yang, CEO of EverString, in a statement. "Our holistic approach to predictive marketing addresses the entire prospect-to-customer journey, and aligns perfectly with Microsoft's commitment to providing users with personalized, intelligent customer engagement."